Loneliness is one of the most complex human emotions. While some are able to find peace in isolation, so many others find only anxiety, depression, and a yearning for a deep emotional connection with another human being. Though longer work hours, more traffic, and the rise of social media have made loneliness more common than ever, loneliness does not have to condemn one to a life of debilitating isolation. The ten books on this list are the top self-help books for those with loneliness. They each offer different explanations as to what it means to be lonely, and vary even more in their approaches to conquering loneliness. But they are more alike than they are different. Each of these ten books are written by authors who know loneliness, whether personally or professionally. Even more importantly, these books have been proven successful. Of the hundreds of self-help books on the topic, these books were chosen as the top ten based on sales, bestseller rankings, and positive reader reviews on Amazon, Barnes and Noble, and Goodreads. In Becoming Human, Jean Vanier proposes that great things can happen when we open ourselves up to outsiders and those we perceive as weak, different, or inferior. Not only can we start to solve the problem of our own loneliness, but we can create a powerful common good that positively impacts our communities, our relationships, and ourselves. 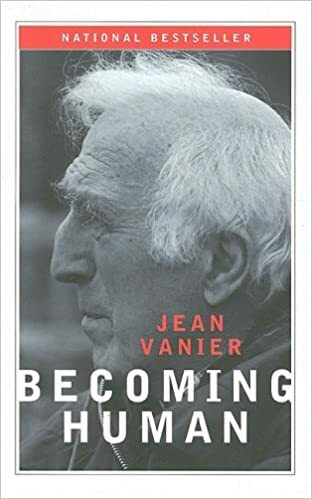 Those looking to combat loneliness will find that Vanier’s book discusses the topic at a deeply personal and humanistic level; Vanier delves into the essence of humanity in this eloquent, thoughtful, and thought-provoking book. Why do so many of us struggle to get up in the morning, let alone make it through the day, while so many others seem to be full of hope and happiness? 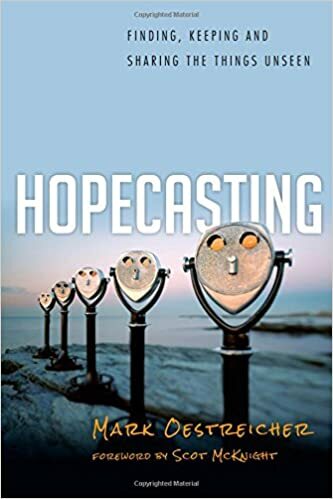 In his book Hopecasting, Mark Oestreicher uses hard-wrought examples from real life scenarios, theological reflection, and psychological wisdom to present what has been called a “fresh perspective on hope.” In Hopecasting, those seeking to face their own debilitating loneliness will find a powerful and personalized self-help book that looks well beyond the cliches. 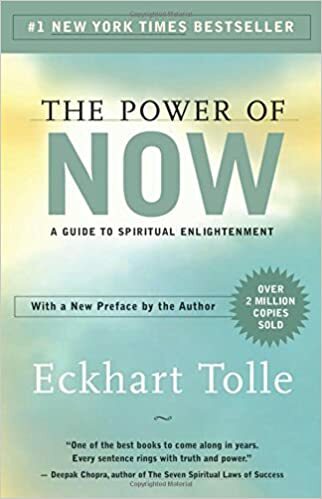 Judging Ekhart Tolle’s book by its cover, it is easy to mistake it for a how-to aimed at procrastinators. But in reality, The Power of Now is all about finding the key to happiness and living in the moment, both of which can be tough mountains to climb for the lonely. Through pearls of wisdom and plenty of true-to-life scenarios, Oprah-endorsed Tolle shows his readers how to live for the moment, then reap the benefits of such a lifestyle. Over the years, The Power of Now has been a consistent bestseller and a reader favorite on websites such as Amazon.com and Goodreads. 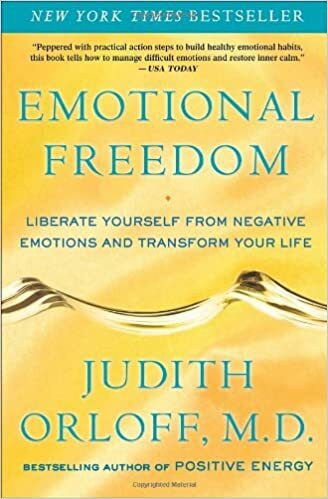 In Emotional Freedom, author Judith Orloff asks readers to consider what it would be like if life were peaceful rather than anxious, or filled with nurturing relationships and a warm sense of belonging. This kind of life, says Orloff, is one of emotional freedom. Emotional Freedom is a road map for those who want to turn away from the negativity inside their own minds. Through wisdom and anecdotes stemming from neuroscience, intuitive medicine, psychology, and subtle energy techniques, Emotional Freedom can help even the loneliest of people to liberate themselves from depression, anger, and fear. Ideally, the book Stop Being Lonely looks at loneliness in light of the “social media era” in which we’ve found ourselves. As relationship coach Kira Asatryan points out, the numbers of online friends, followers, or “likes” don’t necessary add up to happy and fulfilling relationships. 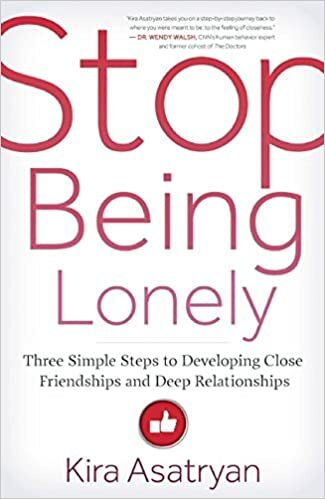 In Stop Being Lonely, Asatryan lays out a path of knowing and caring in order to obtain the feeling of closeness, and improve our relationships with romantic partners, friends, family members, co-workers, and ourselves. The Loneliness Cure by Kory Floyd is another helpful book that looks at loneliness through the lens of social networking. Floyd’s valuable guide details what it actually means to be lonely and in need of affection, then offers six easy strategies for attaining more intimacy in your personal relationships, friendships, family life, and everyday life. 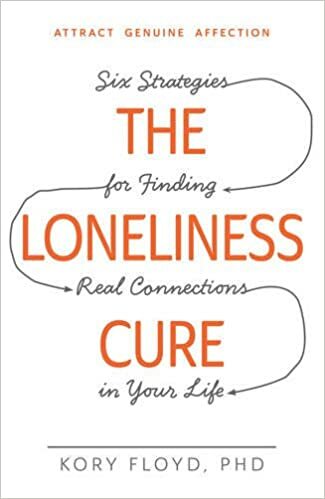 Additionally, The Loneliness Cure goes beyond the “fix” and helps the reader to assess the exact causes and reasons for feelings of isolation and loneliness. While it’s the nature of loneliness to seek inclusion and affection from those around us, even the biggest social butterfly must master the essential skill of being happy while alone. 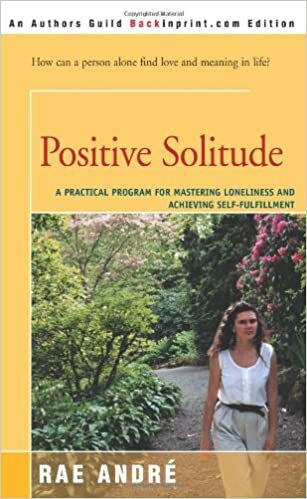 In Positive Solitude, psychologist Rae Andre offers an intelligent discourse as to why in recent years so many people have felt a loss of community, only to cling to desperate and only semi-fulfilling relationships. Unlike most books on loneliness, Positive Solitude acknowledges the idea that everyone is alone sometimes. Thus, Andre offers readers a practical guide and affirmation for those who need to find happiness, enjoyment, and self-fulfillment while alone. Only then, argues Andre, can one find true and lasting relationships. Lionel Fisher spent six years living alone on a remote beach in the Pacific Northwest — talk about loneliness. But in Celebrating Time Alone, Fisher shares his personal reflections in an attempt to illustrate the idea that being alone doesn’t have to equal loneliness. To complement his own stories, Fisher interviewed men and women from across the United States who have thrived in their isolation. 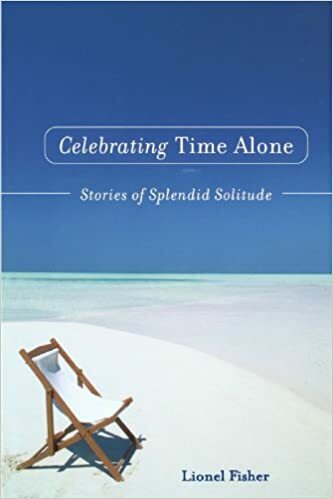 Celebrating Time Alone is far different than most other books on this list; it is a how-to for overcoming the feeling of loneliness in solitude. Acknowledging those who have had loneliness thrust upon them, Fisher’s books is intended as counsel, affirmation, and encouragement to help learn to use solitude as an opportunity for self-discovery and personal growth. Thanks to things like social media and longer working hours, it has become harder and harder to develop and maintain relationships. 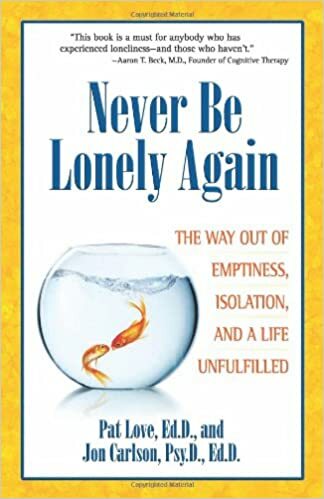 In Never Be Lonely Again, behavioral relationship experts Pat Love and Jon Carlson — both of whom have battled debilitating loneliness in the past — lay out an effective approach to maintaining friendships, being truly present for a partner, and reaching out to people when in need. Their bestselling how-to is based on years of research and study, and stems from psychology, personal experiences, and even a momentous meeting with the Dalai Lama. And now one for the ladies! Being alone as a single woman does not, and should not, mean loneliness. 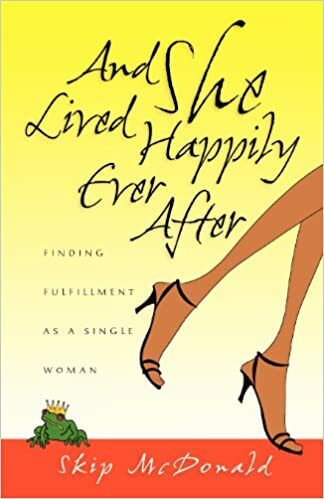 Author Skip McDonald, herself a happily single woman, has written And She Lived Happily Ever After, the go-to guide for finding grace and fulfillment as an unmarried woman. McDonald’s book is packed with practical advice on such topics as building a satisfying career, establishing a secure home, deciding whether or not to date, and enjoying rich and meaningful relationships. To complement the good advice, McDonald offers plenty of personal anecdotes, words of wisdom, and the valuable insights of numerous other happily single women. For more helpful books about loneliness, head to aboutgreatbooks.com for this article about Top 10 Great Books About Loneliness: Self-Help.